The movie Batman Gotham Knight: trailer, clips, photos, soundtrack, news and much more! I supose you’re going to order your Batman Gotham Knight DVD, aren’t you? The mixx between traditional American cartoon and manga is explosive! Batman Gotham Night recounts the life of Batman between the two movies made by Christopher Nolan: so it fills the gap between Batman Begins and the upcoming Dark Knight. 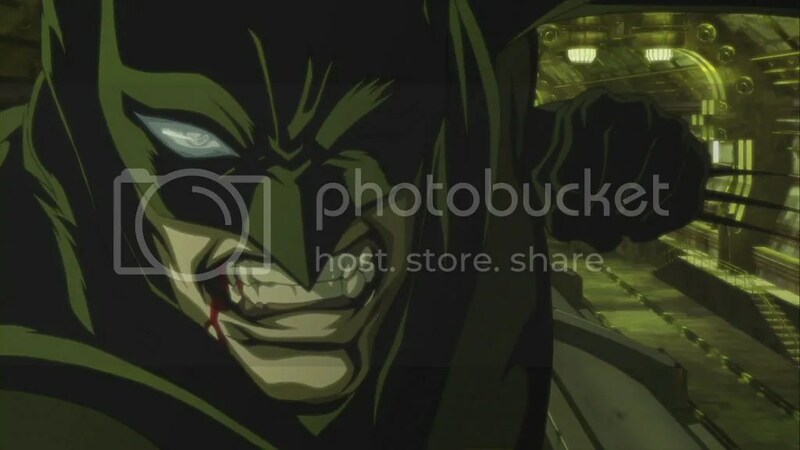 Have a look to a batch of pictures from Batman Gotham Knight, upcoming manga-like movie featuring the life of Bruce Wayne / Batman between the two movies Christopher Nolan’s reboot movie series. Batman Gotham Knight is an anthology of six short films directed by skilled Japanese manga directors, hence the Akira fashion. Batman Gotham Knight is an upcoming animated anthology which aims at explaining what happens between Batman Begins and the upcoming Dark Knight. I like the manga style they chose for those Batman short films. With all the craze about the upcoming Dark Knight one may almost miss the news about Batman Gotham Knight direct to DVD release on July 8, 2008. Batman Gotham Knight fills the gap between Batman Begins and the Dark Knight. It’s an anthology of six short animated films made by renowned Japanese manga directors in the spirit of the Animatrix. I wonder why they have decided to release it directly to DVD. Would have been nice to watch in a theater on a big screen. I hope there will be a special screening in my theater one day.